Along the shore of the Chicago Skyline, you will find amazing architectural and sightseeing tours given by a licensed docent aboard of either a cruise with panoramic view or a tour bus. Meeting Incentive Experts can plan your city tour based on your preferences, architectural, history, interesting spots, and gangster. The tours can include team building activities to encourage participation of the group members. We start with a city tour but gangster style. Costumed gangster guides take you on a ride back to the days when Al Capone ruled the South Side of Chicago. They will tell the true stories of gangster legends and the old gangster hot spots and hit spots! It is a two-hour live action tour that gets you the inside story on Chicago’s windiest politicians, rollicking red-light districts and most notorious vice games! End up this night at one of our many options for an Italian Restaurant in the old Italian Village or around downtown Chicago. In a city known for its abundance of boutiques and upscale national chains, and excuse to splurge is waiting in shop windows around every corner, whether you choose to take a trip down the Magnificent Mile or seek out unique shopping in other parts of the city. Meeting Incentive Experts offers shopping sprees to the best outlet malls in Illinois or in Chicago. You could enjoy the tour from the roof or inside, or even make of your meeting or private party a sightseeing tour at night in the lake on board of an elegant yacht with breath taking views of Chicago skyline accompanied by a delightful dinner. This trip offers more than you can think, customized decoration, live music, DJ, drinks, audio visual arrangements, catering or anything you might need. From the bottom of the sea to the tops of the stars, Chicago has it all on display. 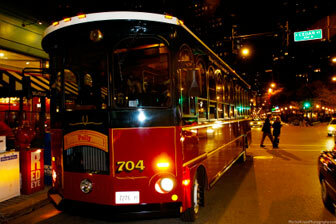 Start your adventures on the famous Museum Campus along Lake Michigan. Three world-renowned museums call it home: The Adler Planetarium & Astronomy Museum, The Field Museum, and The Shedd Aquarium, and all are filled with opportunities to stretch your mind. Want to race the wind and the waves during the beautiful summer in Chicago? 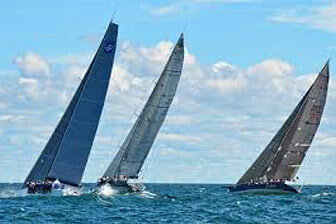 Imagine yourself converging on the windward mark with the rest of the fleet. Come on out and join in the enthusiasm for sailing faster. Learn how to achieve more of the potential in the performance of a Rhodes 19. This activity can really encourage team building among the groups. And, oh yeah, it’s fun too. Meeting Incentive Experts can help you book your group adventure, which is also great for team building! 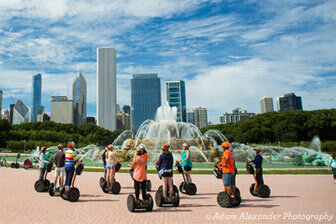 You could cruise along the city of Chicago effortless on a Segway. Help the environment and enjoy 3 hours of great sightseeing along the shore. Make the best out of your visit to Chicago during your program, with a guide to show you around and tours that could include dinner, a special route, or add virtually anything imaginable. Chicago is famous for its Pubs. 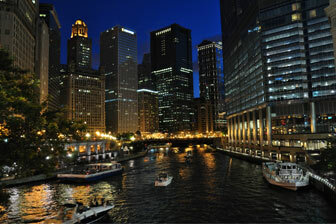 The Chicago culinary scene is legendary for prime steaks, authentic pizza and extraordinary fine dining. Add to that a nightlife jumping with sports bars, comedy clubs and dancing, and you have a recipe for fun every night of the week. No matter what neighborhood you find yourself in, there will be a great place to hang out and maybe have a taste of Chicago’s most famous beers along with great people. Our MIE representatives will be able to guide you through out the city and the best pubs and bars for a night to relax after a long day of meetings. Chicago brings incredible productions to the city, and this year’s line-up features shows destined to become crowd favorites. Be dazzled by everything from world premieres and Tony Award winners, to long-running musical mega hits like Wicked, Jersey Boys and The Lion King. Clustered throughout our downtown Theater District, you’ll find venues like the Cadillac Palace, the Oriental Theatre, the Bank of America Theatre, and the opulent, perfectly-acoustical Auditorium Theatre, designed by famed American architect Louis Sullivan. And the newest addition to the family, The Broadway Playhouse offers compelling theater in an intimate setting.